We had a little cameo appearance in the Sea of Hope documentary that premiered on the National Geographic Channel last night. Along with Sylvia Earle and her team of teenage aquanauts, you can see us releasing hatchling leatherback turtles and talking about how big they grow to be! This all came about because last summer, our team had the privilege of working with Brian Skerry, National Geographic Underwater photographer, who was in St. Croix for the film and for a cover story on protecting the last Pristine Places in our nation’s seas. You can catch the whole episode on 22 January on the National Geographic Channel or online. You can see clips of the video and special content at the following links. 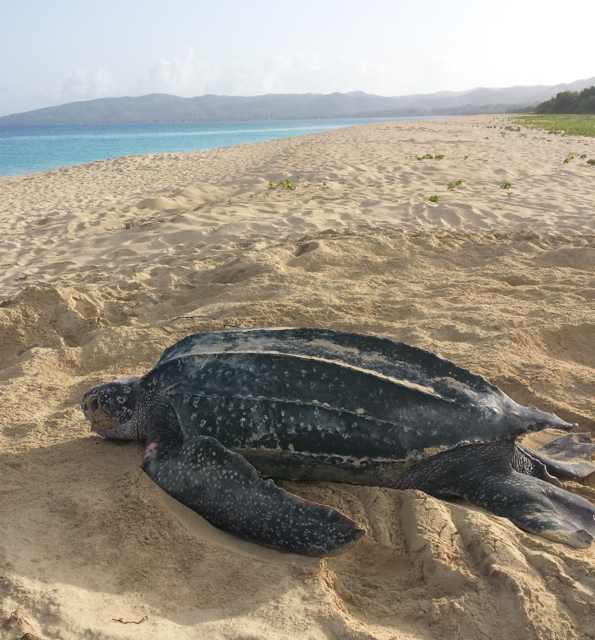 First leatherback nest of the season!